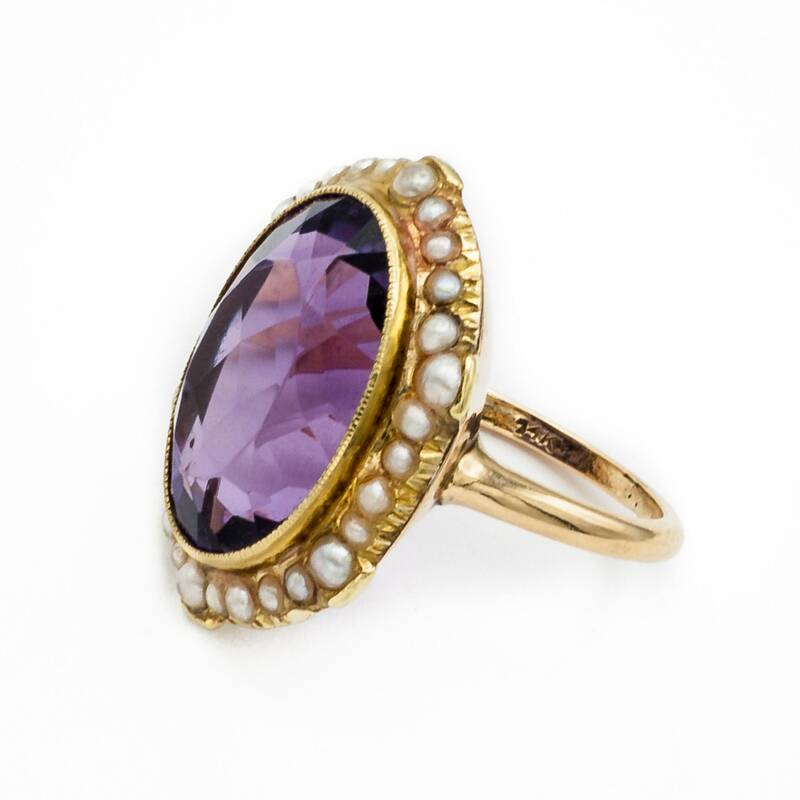 Elegant Antique Late Victorian cocktail / engagement ring bezel set with gem-quality Siberian Amethyst & 30 Oriental Pearls. Pristine cond. 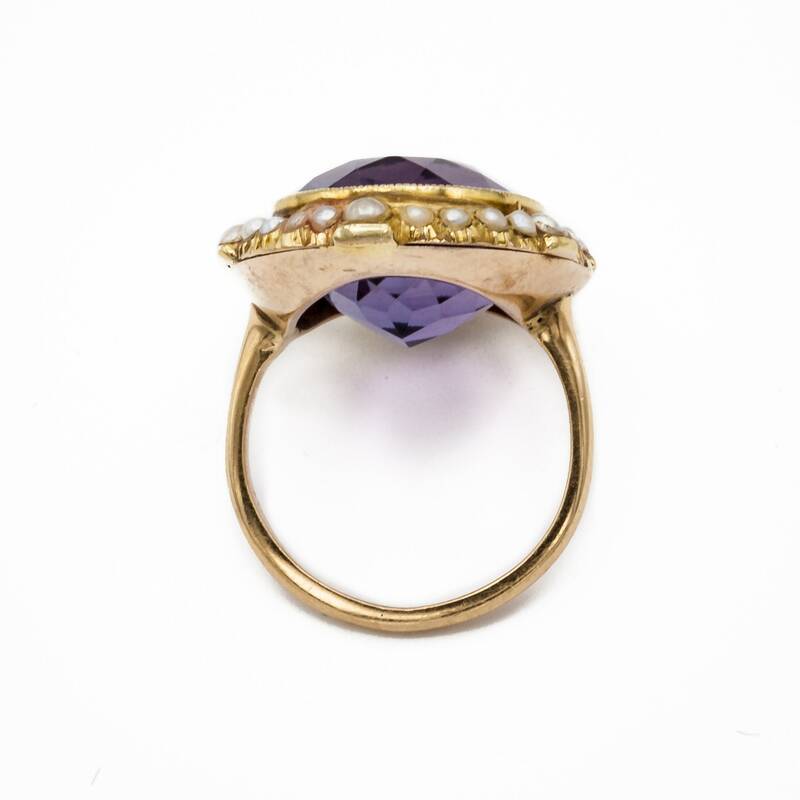 This 14K Yellow Gold ladies antique ring was made in the last quarter of the 19th century. 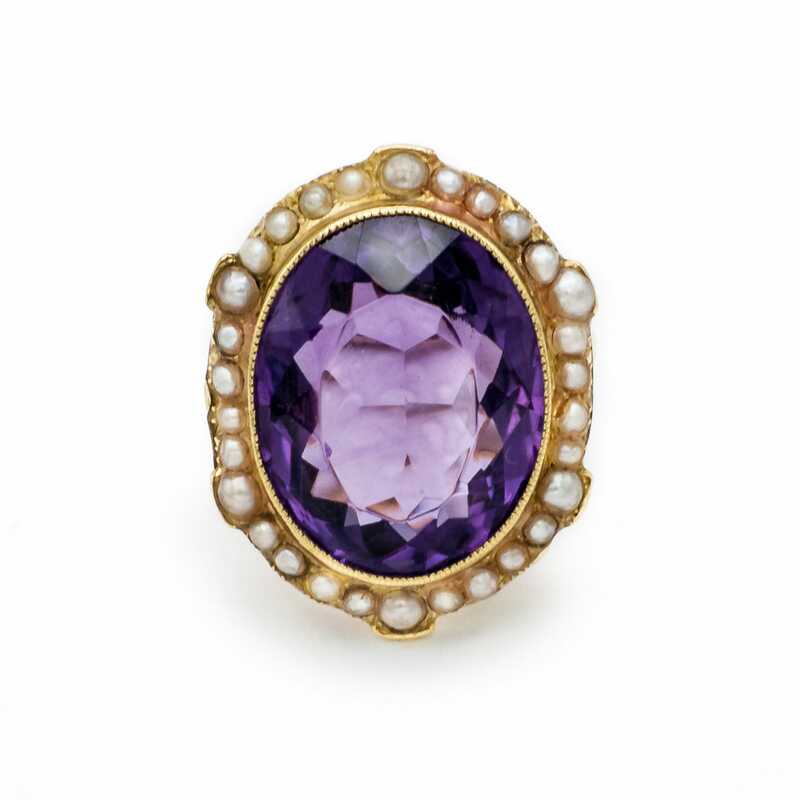 It is bezel set with an exquisite oval faceted natural Siberian Amethyst which measures 20 millimeters by 15 millimeters and weighs approximately 15 carats. 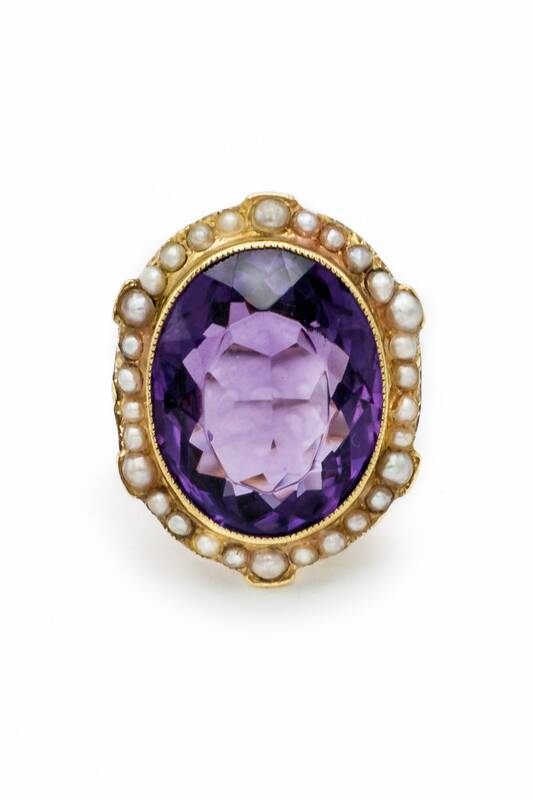 The natural high quality Amethyst is surrounded by 30 Oriental half pearls. 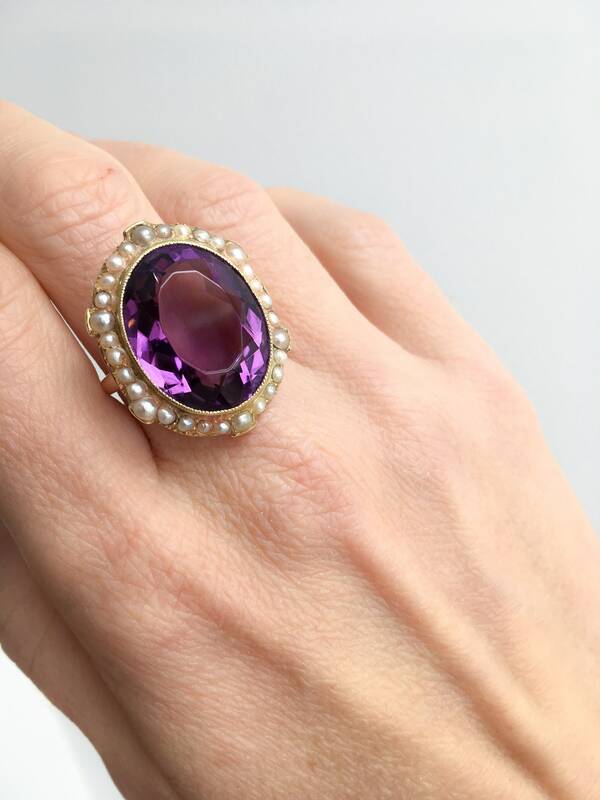 These Pearls are natural and beautifully matched. This handmade ring is stamped on the inside of the shank 14K. 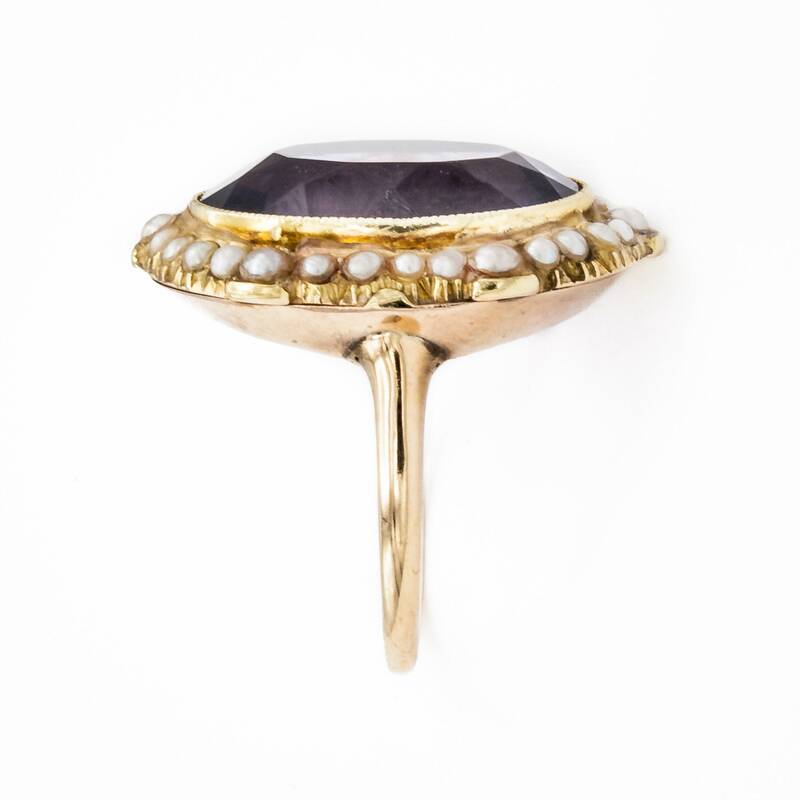 This ring is a size 6 3/4 (US), but we can re-size it to fit you comfortably.